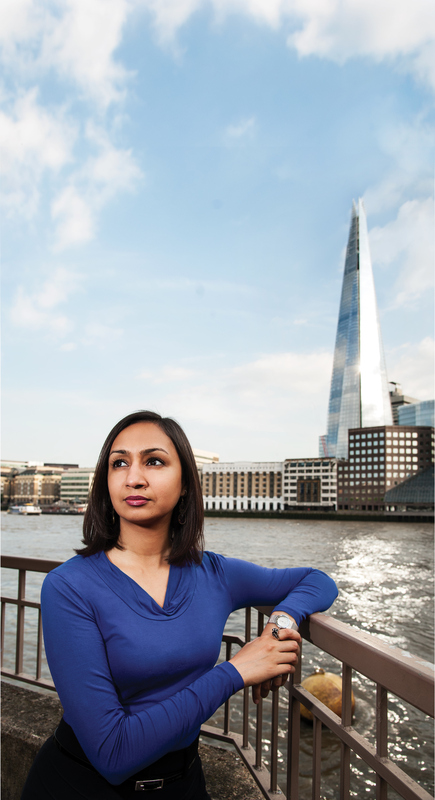 In a profession short of superstars, British structural engineer Roma Agrawal is finding ways to explain her work to non-engineers. Tall buildings are celebrities. From the Great Pyramid of Giza, which was the tallest structure in the world for nearly 4000 years, to today’s record holder, the Burj Khalifa, people are drawn to these structures, gazing up at them in awe. On the south side of the River Thames in London stands The Shard, a 310 m skyscraper which was the tallest building in Europe when completed in 2012. 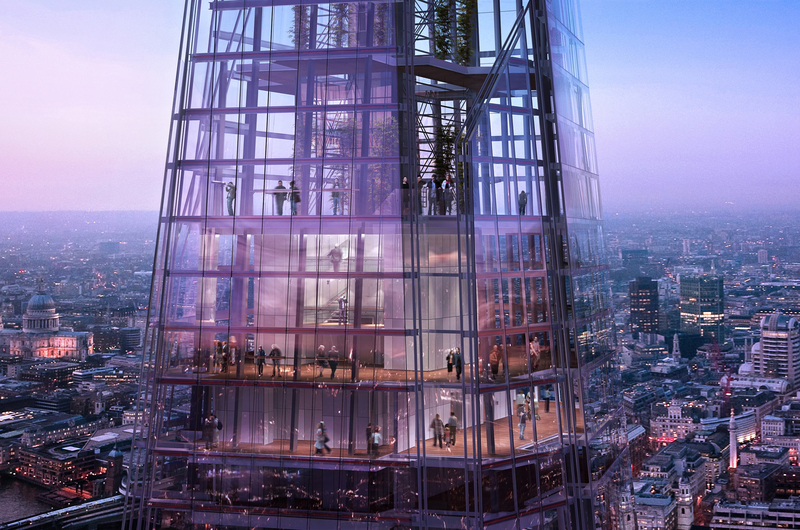 Roma Agrawal was a structural engineer on The Shard and started receiving invitations to talk about the structure after it was completed, invitations that would ultimately take her down a parallel career path. “I think the tower really captured the imagination of a lot of people,” said Agrawal. Engineer and author Roma Agrawal. She found many people were fascinated by her stories but surprisingly ignorant of what engineers actually do. She realised she had an opportunity to spread the word on engineering to a wider audience. The problem for many engineers, she feels, is that in their day-to-day jobs they use a lot of technical jargon. Their colleagues understand that language so they get used to communicating their work in those terms. “But when you’re going out there and talking to people who aren’t engineers and you’re trying to inspire them, then you have to focus on stories,” she said. Her talks evolved into newspaper articles and television interviews. Before long, a publisher approached her to write a book on the subject. She could have kept it to The Shard but she decided to think big, like a true structural engineer on tall buildings, and write a broader story encompassing many structures throughout history and the engineering behind them. The result is Built: The hidden stories behind our structures. One of the main stories in Built is her own; from one of her earliest memories as a toddler gazing up at the skyscrapers of Manhattan, through her childhood in Mumbai to university at Oxford and her career as an engineer. She described her favourite project, which is not The Shard but a footbridge at the University of Northumbria in Newcastle, England. It was her first ever project. “I started working on that project on my 22nd birthday, which was a very memorable moment for me,” she told create. “I basically designed almost every aspect of that structure with the help of my boss. We were a very small team that worked on that structure. So it was really satisfying to have designed the steel cables, the steel decks, the concrete foundations. She also introduces us to other people’s stories including that of Emily Roebling who oversaw the construction of the Brooklyn Bridge in New York. The bridge was designed by Emily’s father-in-law John Roebling, a German-American civil engineer who died of tetanus after an accident in the early days of construction. His son Washington Roebling took over as chief engineer but became ill from the bends while working in the pressurised caissons being used to construct the bridge’s foundations. While caring for him, Emily took on the task of acting as go between for Washington and the people on site. “But then she clearly starts studying the technical engineering, the maths, the cable theory, the material science. And then she starts actually managing the project,” Agrawal said. Another favourite is Bangladeshi civil engineer Fazlur Rahman Khan who developed the concept of using exoskeletons to support a building’s structure. “In a technical engineering sense, he completely revolutionised the stability of skyscrapers. And it’s really because of his ideas of those stability systems that we can now build the really tall towers that we see going up in places like the Middle East and China,”Agrawal said. The genesis of London’s tallest tower came in the late 1990s when the British Government began encouraging high-density development next to transport hubs. Developer Irvine Sellar had recently purchased a tower block adjacent to London Bridge railway station, one of London’s oldest and busiest stations serving both Underground lines and mainline destinations outside of London. Sellar approached noted architect Renzo Piano who reportedly came up with the basic design (a very steep glass pyramid) on the back of a menu while lunching with Sellar. Piano has said the design was inspired by the idea of building a mixed-use environment containing commercial space, a hotel, residential space and public viewing galleries, each requiring less floor space than the previous, so the taper was obvious. Construction began in 2008 and was completed four years later. The top of The Shard. While the above ground building is striking, one of its most innovative elements is its foundations which were excavated at the same time as the tower’s core was being built up, the first time this technique had been tried in Britain. Agrawal was part of the team working on the foundations. “We didn’t really have any precedent as to how this might work because it was a new technique that we were trying,” she said. Rather than digging a deep hole the size of the future basement then drilling piles to support the entire structure, piles were drilled at the ground level then covered with the ground floor slab, while leaving a hole for the future excavation. “While digging continued downward, a special rig was attached to the newly exposed steel plunge columns, this rig could build the central concrete core,” wrote Agrawal in her book. After the foundations were completed, she also worked on the spire at the top of the tower which includes the viewing gallery for the building and a lot of mechanical plant. “What’s really interesting about that piece of structure is that the steel is all completely exposed,” she told create. “Even standing at the staircase, which ran through the centre of the floor, I seemed close to the edge,” she wrote in Built. Last year, Agrawal took on a new role as Associate Director (Structural Engineering) at AECOM. She described it as different to anything she’s done before; meeting with clients at the beginning of projects and shaping the design at a very early stage. Roma Agrawal, with The Shard in the background. But she still dabbles in her alternate communications career. Earlier this year she teamed up with AECOM’s Senior Vice President of Global Talent, Susan Dumond, to propose a skills manifesto for creating the engineer of the future. “What’s the spark that will inspire the next generation?” they asked. The pair spoke to engineers from around the globe, including Engineers Australia CEO Peter McIntyre who felt that the profession needed to work harder at getting its success stories into the mainstream media. “I think that’s where we can start to change the hearts and minds of young students, parents and teachers,” McIntyre said. Agrawal and Dumond agreed, with their first conclusion being they needed to fire up the next generation of engineers. Their other recommendations were creating a more diverse and inclusive workforce, training engineers to work on the infrastructure of the future, embracing what makes us human as certain tasks become automated, and rebooting the industry so that as new people come into the profession, its structures and leadership evolve with it. On this last point, McIntyre told Agrawal and Dumond there is a key role for associations to play to ensure more rational, informed and honest debate about the big future infrastructure questions shaping people’s worlds. 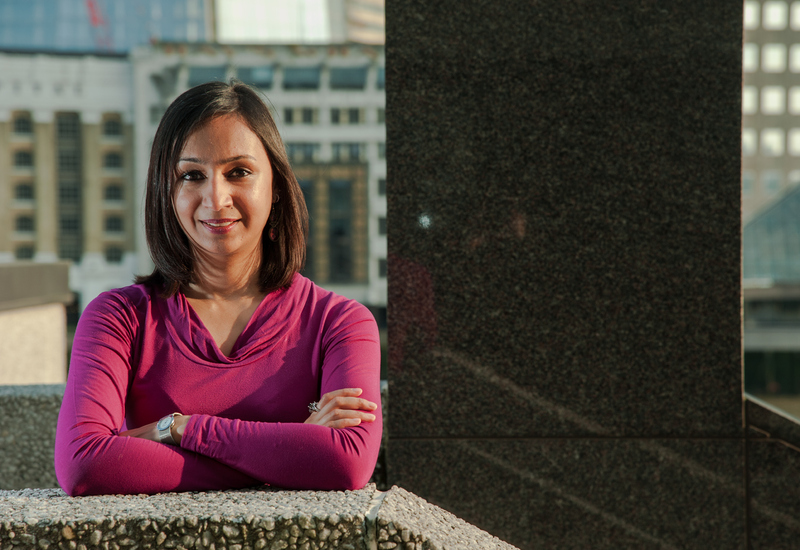 And, as part of her personal goal to inspire the next generation of engineers, Agrawal is working on a new book about structural engineering, this time for children. “We don’t have a title or anything yet,” she said. The future of the engineering profession might yet be safe. Roma Agrawal will be speaking at the upcoming Australian Engineering Conference 17-19 September in Sydney. To learn more and to register, click here.